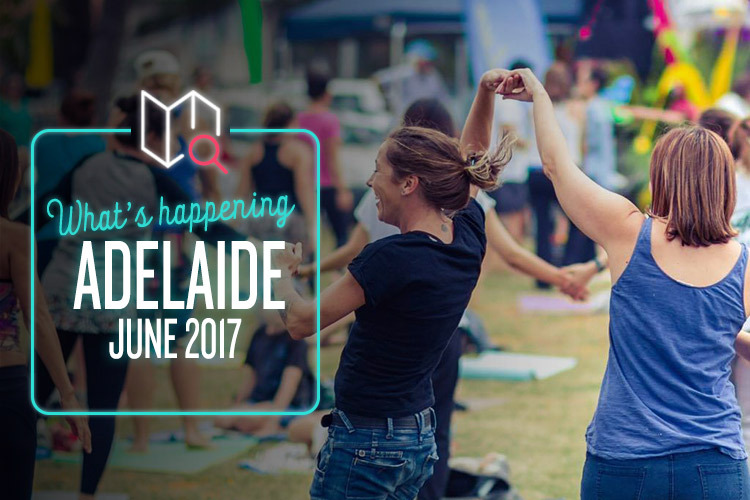 From saucy cabaret shenanigans to peaceful group meditation, Adelaide’s got a little something for everyone this month. It’s time to tap into your sultry side in anticipation of Adelaide’s raunchiest event of the year. Still going strong in its 17th year, Adelaide Festival Cabaret Festival has garnered a reputation for showcasing some of the best Australian and international artists with a program chock-full of classic and modern cabaret performances. This year, New York’s Bridget Everett of Inside Amy Schumer brings her own no-holds-barred brand of ballsy cabaret comedy to the festival with Pound It!, and fan favourite, the Variety Gala Performance is back and bigger than ever. It’s sassy, it’s glamorous, and it’s absolutely packed to the brim with over 430 artists in 147 performances. Not to be missed. What’s better than a big glass of wine? How about a big glass of wine gazing out over the ocean? How about we throw in an intimate degustation experience for good measure? You’ll find all of the above and more at Sea & Vines, a celebration of all things wine-y and food-y in the Mclaren Vale region. Head over to Oliver Taranga’s Vineyards for their Porchetta Party (a party dedicated entirely to crispy roast pork? Yes please!) or check out one of Shingleback’s Winefood Masterclasses, where you’ll be served a locally-sourced 4-course meal prepared “using signature wine infusion techniques”. We don’t know what that means, but it sounds delicious. Alternatively, pop into one of the many vineyards for a tasting. It’s all good. The Ark Beer & Festival Festival is entering its 11th year this year, so it’s safe to say that the legends over at Arkaba Hotel know a thing or two about beer and cider. There are over 100 varieties to sample, so there’s sure to be something on the menu to please even the most picky beer buff or cider savant. There will also be prizes up for grabs and appearances from yet-to-be announced special guests. Oooh. Mysterious. Tickets are $25 presale or $35 at the door and included in the price are as many tastings as your beer unit (AKA stomach) can handle. You’ll probably need a bit of quiet time to recuperate after all that beer chugging and wine sipping, and what better way to do it than with a spot of yoga? Yoga Day Festival is heralded as Australia’s biggest yoga party, and it’s easy to see why with all the yogic goodness going on. There’s a flowing yoga asana class, yoga mantra dance, deep relaxation, yoga breathing, live kirtan (yoga chant), a yoga wisdom talk, and even heartfelt world peace meditation. Just the sort of wholesome goodness you need to make you feel much better about all the aforementioned drinking. Namaste.